New York, NY, November 16, 2012 - Chelsea's prolific documentarian and commercial filmmaker Alex Gibney's scathing expose of abuse and the Catholic Church opens today, November 16, 2012 at New York's Film Forum, and Santa Monica, California's Laemmle Monica 4-Plex, for a limited two-week engagement. The film, which had its world-premiere at the Toronto International Film Festival this year, has quickly been shortlisted by critics and audiences alike as an apt Oscar contender in the documentary category. Justin Chang (Variety) called it "...a powerful, necessary contribution to a chilling body of reportage that, one senses by film's end, has just begun to take stock of the human costs of a monstrous conspiracy." Anthony Kaufman of Screen Daily calls Mea Maxima Culpa, which translates from Latin as "my most grievous fault," "... powerful and affecting." Mea Maxima Culpa: Silence In the House of God - Trailer from Jigsaw Productions on Vimeo. 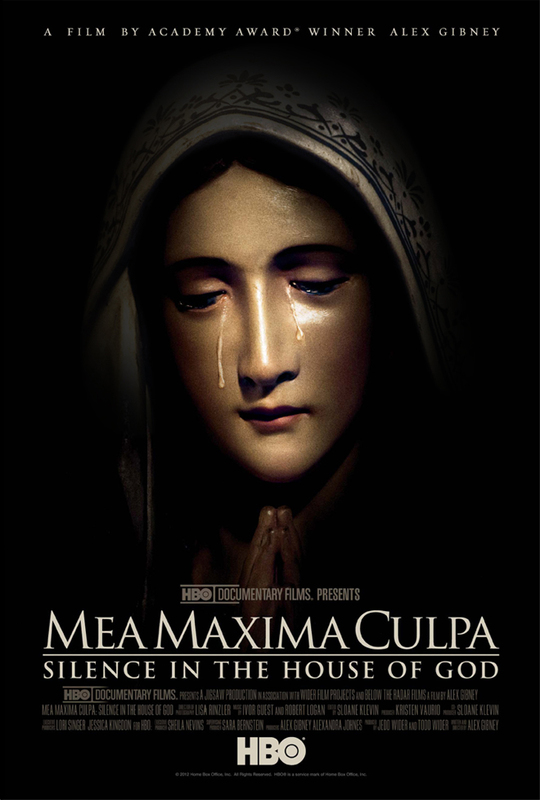 Mea Maxima Culpa: Silence in the House of God , an HBO Documentary Film, will see television distribution on HBO in 2013. The film was written and directed by Alex Gibney, produced by Jigsaw Productions and Wider Film Projects in association with HBO Documentary Films, and edited by Sloane Klevin of Union Editorial. Alex Gibney is represented for commercial work by Chelsea. Please exercise your right to vote. Find out where to vote in your neighborhood, here. New York, NY, November 5, 2012 - Chelsea and SS+K have teamed up to produce two new spots for the Obama campaign during these critical last days leading up to the election. Both take a candid approach; Lena Dunham amusingly recounted her "First Time" - voting, that is - while Chelsea Director David Gordon Green's "For All" spot features real voters speaking about their "pledge of allegiance" to Obama's America. Lena proved once again that she speaks with and for her generation, with equal parts wit and incisiveness. Her transparency over her "first time" disarms the viewer with an air of intimacy and humor. David Gordon Green's "For All," released Sunday, shares the hopes of individuals across a diverse spectrum of American experiences. With their dreams for this next presidential term emblazoned in permanent marker on their hands, the men and women declare their support for Obama's presidency. Green's bold and emblematic imagery, edited by Hank Corwin and Jay Rabinowitz of Lost Planet, coupled with music by Jerome Rossen of Freshmade reinforces the chorus of voices to create a bold new national anthem.